They say it takes a village. We're here to help. We've made finding smart and reliable childcare for your family really, really easy. 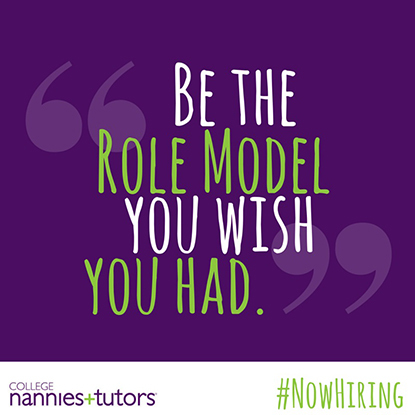 College Nannies, Sitters and Tutors is currently accepting applications from responsible, outgoing individuals for a variety of childcare and tutoring positions. We offer free practice ACT/SAT tests year-round! "I just wanted to thank you for sending Stephanie over to sit for the kids this past Saturday. She was terrific. The kids absolutely LOVED her and she really hung in there while we were out a little later than we normally stay out. It's such a great thing to know that our kids are in good hands and having a fun time while we're out. You all have the best nannies!""